This existing Red Mango® is the flagship store in the state of Connecticut, with a unique feature of including everything under one roof. Customers can enjoy coffee, frozen yogurt, juices as well as food all in the same location. There has been a steady increase in sales in year 2 from year 1. The selling price includes lease and all furnishings, equipment and current stock. No previous experience is needed to becoming the new owner of this franchised business. Red Mango® is committed to support its franchisees and will provide full support and marketing initiative that will help drive the business and sales. 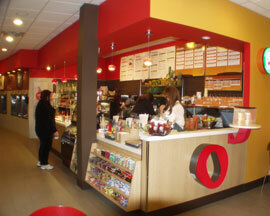 Red Mango® Founder, Dan Kim opened the first Red Mango in Los Angeles in 2007. With its headquarters in Dallas, Texas, there are now over 200 locations nationwide. 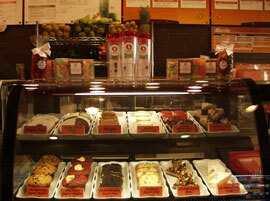 Red Mango® is one of the fastest growing retailers of all-natural nonfat frozen yogurt and fresh fruit smoothies. Red Mango® has been awarded the prestigious Nation's Restaurant News' "Hot Concepts!" award and the industry-recognized SupplySide's "Scientific Excellence Award," and has been named the best frozen yogurt in Los Angeles, Seattle, Las Vegas, Chicago, Utah and New York by highly-regarded independent publications. Red Mango® focus on healthy food and provide the best frozen yogurt, smoothies, parfaits and probiotic iced teas that deliver a great experience with superior taste and none of the guilt. Red Mango's growth has showcased a growing desire for the company's award-winning all-natural nonfat frozen yogurt across the U.S. The company's signature product, which is rich in probiotics, low in calories and gluten-free, has been the foundation for a popular menu that now includes fresh fruit smoothies, parfaits, and probiotic iced teas offered at more than 135 locations from coast to coast. Red Mango’s award-winning, nonfat frozen yogurt contains calcium, protein, and live active cultures and do not contain artificial ingredients or excessive calories from fat and sugar. Red Mango® frozen yogurt is all-natural, low fat and is certified gluten-free. 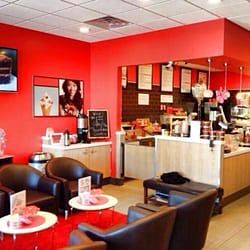 To find out more about this exciting Red Mango franchise for sale, please fill in our request information form.